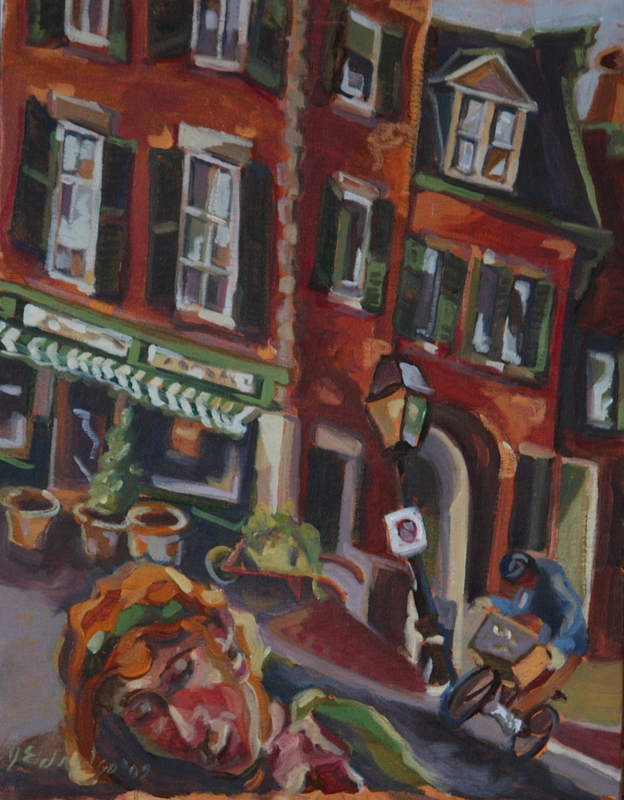 Beacon Hill Boston presented me a challange as a plein air painter; How to capture the manic inclines while standing on the narrow roads that barely provide enough room to stand or set up an easel. This cramped situation makes it hard to find a perspective where you are far enough back to capture the sense of vertigo that's reflected in the brick architecture. Somehow my wife found her way into this painting.